John Muir, a young Scottish immigrant, had not yet become a famed conservationist when he first trekked into the foothills of the Sierra Nevada, not long after the Civil War. He was so captivated by what he saw that he decided to devote his life to the glorification and preservation of this magnificent wilderness. My First Summer in the Sierra, whose heart is the diary Muir kept while tending sheep in Yosemite country, enticed thousands of Americans to visit this magical place, and resounds with Muir’s regard for the “divine, enduring, unwasteable wealth” of the natural world. 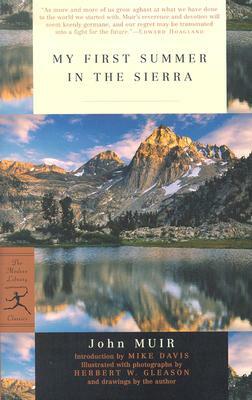 A classic of environmental literature, My First Summer in the Sierra continues to inspire readers to seek out such places for themselves and make them their own. Mike Davis is the author of City of Quartz, Magical Urbanism, and, most recently, Dead Cities, and co-author of Under the Perfect Sun: The San Diego Tourists Never See. A MacArthur Fellow, he lives in San Diego.